Take Sea-bass as an example, a species that is protected here. According to the fishmonger.ie website, we import wild Sea-bass from France and farmed version from Greece and Turkey. In all, in 2012, we imported (according to BIM figures) some €203 million worth of fish, a staggering 75,000 tonnes (mainly from Norway). No problem buying Irish fish at your local market stalls but be careful in the supermarket, especially at the fresh fish counter. The Goatsbridge trout is not always sold under that name but the tag on the counter does say Irish farmed trout. Cobh’s Frank Hederman is renowned for smoking fish. Not just mackerel but also salmon and do watch out as well for his mussels. If using mackerel in your main course, go for the whole fish but as a starter, the fillets (which come plain or coated with chives or chili) are fine. We used the chive one and bought it at the English Market. 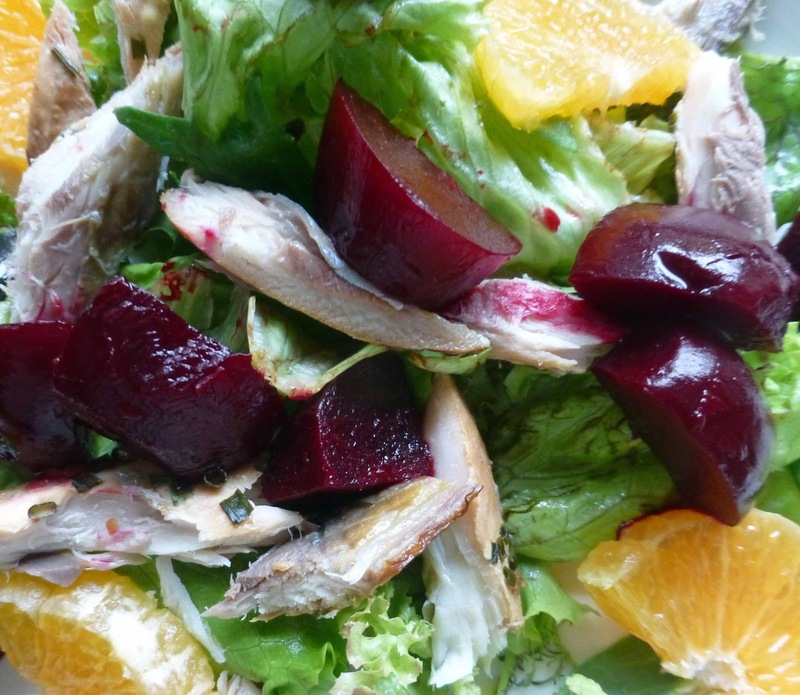 By the way, the salad and the baby beets both came from Derek’s Green Field Farm stall at the Mahon Point Farmers Market. 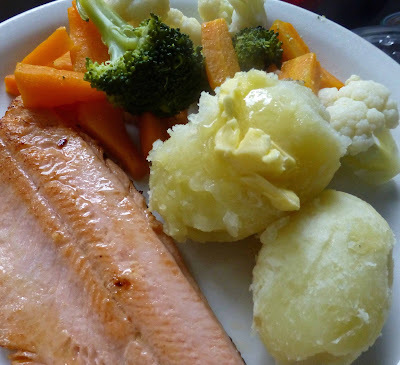 Over then to the local Dunne’s Stores for the trout and that was eventually served with seasonal vegetables and new potatoes. The potatoes and carrots were also bought at Mahon, from the Burns farm stall. And if you do call to Sandra and Joe, be sure and get some of their fabulous Vegetable Crisps. The vegetables, for the trout, were done using Edward Hayden's Prepare-Ahead Vegetable method, detailed in his book Food to Love (pub. 2011). Basically, the veg are cooked separately, then cooled off, and kept in the fridge; take them out close to dinner-time and cook them all together, not forgetting to blanch and refresh! Got that book in the library the other day and it is proving very handy indeed. 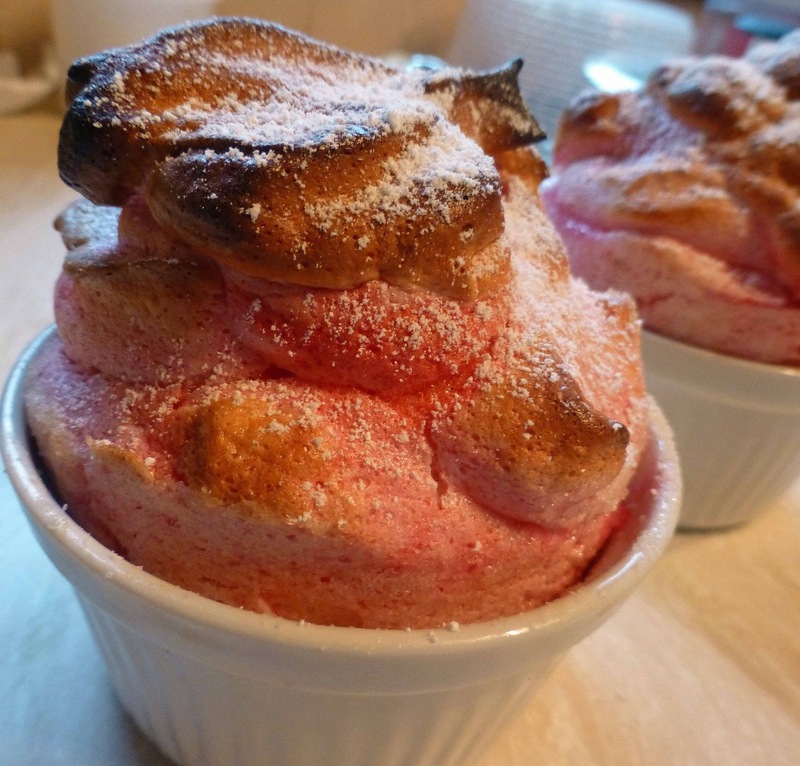 Speaking of local, the raspberries for the delicious soufflé came from the back wall. Thankfully, the considerate blackbirds left just enough for us! Very satisfactory meal overall, especially suited to this time of year. Both the trout and mackerel are top notch products and I'd urge you to try them. Each is highly recommended. Find out all about Frank Hederman and his smokehouse here. 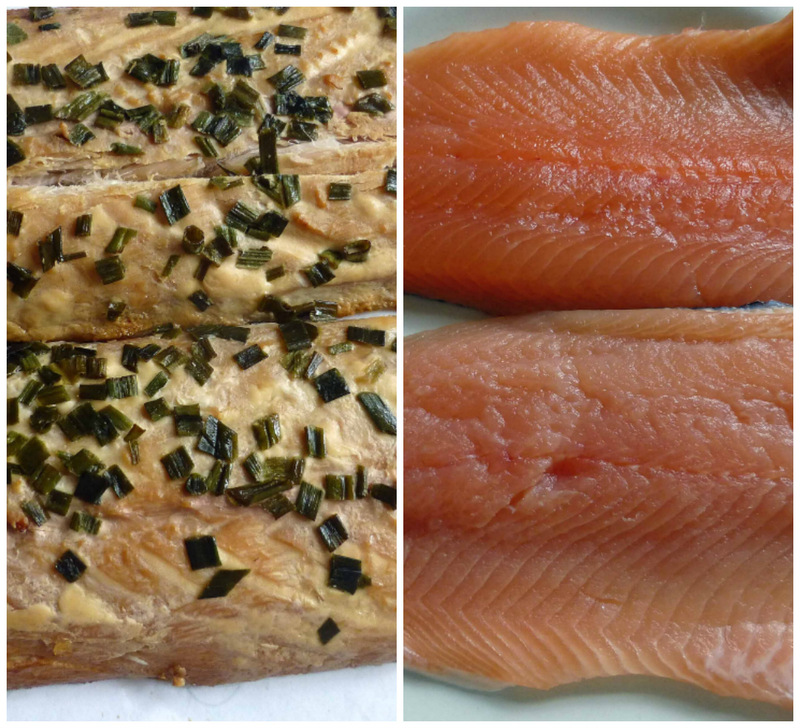 All the details on Kilkenny's Goatsbridge Trout available here. I took a sip of the new and as yet un-named beer in yesterday's sunshine. And as it made its way on to my palate, my first reaction was to thank the lord, well to thank the lords and ladies of the Irish craft beer movement for bringing this and so many other beer beauties to our bars and homes. The next reaction wasn't as kind as it concerned those mega breweries who have been dumbing down beer for decades. An inviting appearance and complex aromas are followed by a mouthful of flavour, more malt than hops. Some spice, lively carbonation, brown sugar and that maltiness are all there. Full bodied, It is made in the style of a Belgian Farmhouse Ale and I'm sure any Belgian farm-worker would be happy to down one or two at the end of the day. I know I would. Try it out at its weekend launch in the Franciscan Well. Details of the first ever Summertime Fête at the Franciscan Well, North Mall. The multi-award winning Franciscan Well Brewery is proud to announce its first Summertime Fête, which takes place at the North Mall Brewpub in Cork from July 3rdto 5th. Ahead of the Summertime Fête, Franciscan Well’s expert brewers and flavour masters have curated a bespoke menu of new and unusual beer cocktails using Franciscan Well’s signature beers. The three day showcase will celebrate Franciscan Well’s classic brews along with beer cocktails, a range of limited edition specials, summer beers and ciders, fruit-cups, music and beer and food pairings. 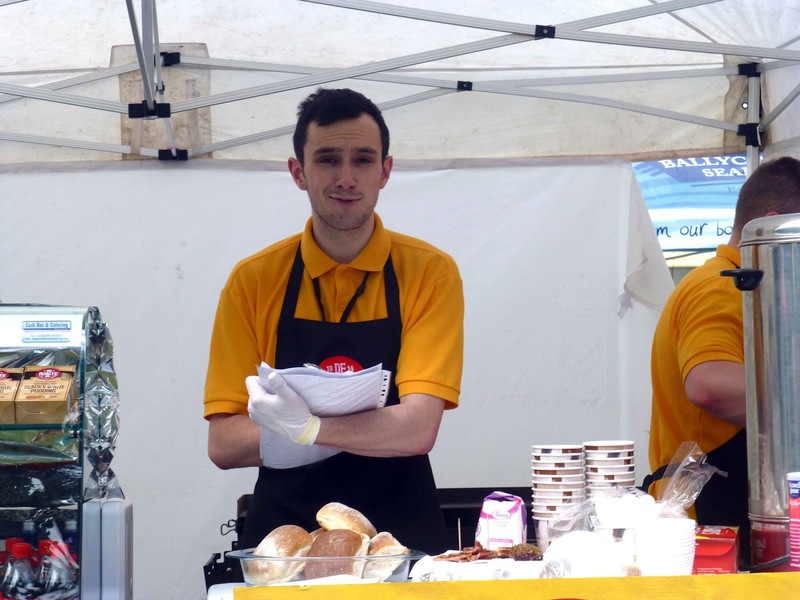 The crew from Pompeii Pizza will also be stoking their pizza ovens across the three days, serving their legendary stone-fired pizza to weekend revellers. 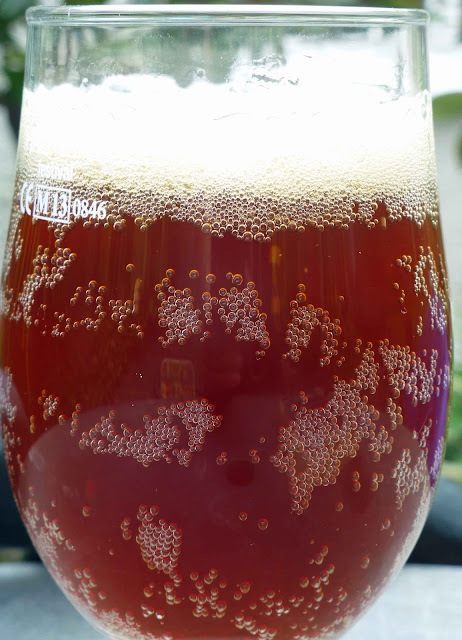 Guests at the Fête will also get the chance to sample the new Franciscan Well Farmhouse Ale, a limited edition brew available on draught for the summer months. This ale, yet to be officially named, will be unveiled for the first time at the Fête. To mark the launch of this exciting new brew, Franciscan Well is running a public competition on its social media channels to name the new Farmhouse Ale, which will be served in the Brewpub across the season. As well as earning the enviable bragging rights of having named a limited edition brew, the lucky winner will win themselves a special pass to the Summer Fête, including food and drinks for them as well as a host of other Franciscan Well goodies. With a stellar line-up of food and drinks confirmed for the Summer Fête weekend, guests will be able to share in the legendary atmosphere of the Fran Well, while enjoying some of the very best summer craft beers and beers cocktails. 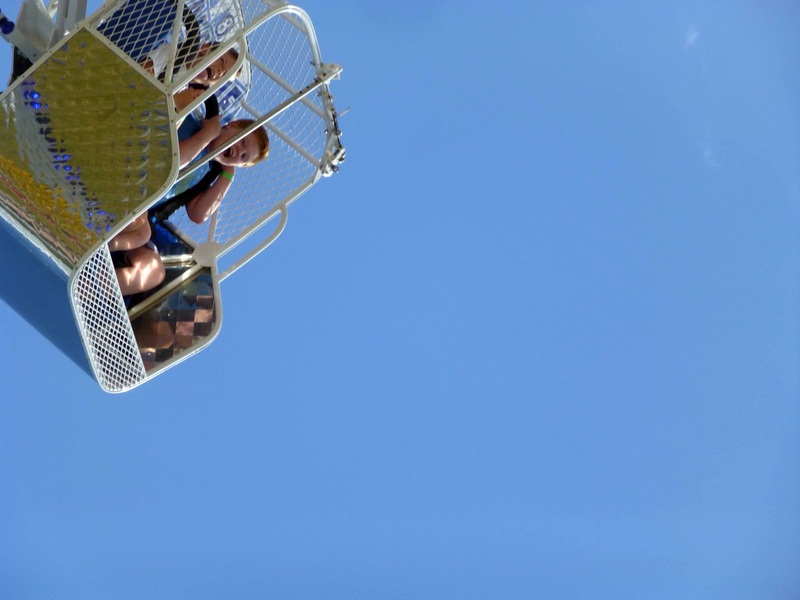 The Summertime Fête will open from 5pm on Friday 3rd July, and run through Saturday and Sunday from 2pm. Xiao Li, from China, was awarded by Vogue Italia as Best Designer. It all started in Autumn 2014, with more than 3,000 young chefs submitting their applications together with their signature dishes on www.finedininglovers.com. Last night in Milan, after an exciting full day of competition and a Grand Final event, young Irish chef Mark Moriarty representing the Ireland-UK region has been awarded as theS.Pellegrino Young Chef 2015. He reached the top with Celeriac Baked in Barley and Fermented Hay, Cured and Smoked Celeriac and toasted hay tea, also thanks to the support of mentor Clare Smyth MBE, who has been at his side as guide and advisor. Mark emerged among twenty finalists, the world’s most talented young chefs, coming from different areas of the globe after a long and hard selection process. On the stage with him, Peruvian Maria José Jordan representing Latin America, second in the list with her recipe Immortal Technique: Citrus, Rosemary, Gin, followed by Norwegian Christian André Pettersen, representing Scandinavia, with his recipe East meets West. “I’m excited about this award. I’m also delighted of having been here these days with such wonderful people. It’s great for Ireland and the UK, and in particular for Ireland, to have gained this title of S.Pellegrino Young Chef. I want to thank my mentor chef Clare Smyth for the huge support and precious suggestions she gave me” said young chef Mark. Mark Moriarty has been elected by an extraordinary jury of seven famous international chefs, also called the Seven Sages: Gastón Acurio, Yannick Alléno, Massimo Bottura, Margot Janse, Yoshihiro Narisawa, Joan Roca and Grant Achatz. In this extraordinary experience, S.Pellegrino had at its side a partner like ALMA, the International School of Italian Cuisine, the world’s leading educational and training center for Italian Hospitality (www.alma.scuolacucina.it), that selected the first 10 finalists for each region. Then, during the final phase in Milan, ALMA supported the young chefs and the organization with 25 Trainees, 3 Executive Chef and some of its most notable teachers, chef Giovanni Ciresa, Matteo Berti, Cristian Broglia, Piero Di Turi. “ALMA is honored to be part of this international event that makes Milan the food&design capital – says Andrea Sinigaglia, ALMA general manager - two italian excellence that are in our school's DNA and that will mark the professional path of these young Chefs. The selection experience was amazing and involved more than 20 ALMA chefs, the organization of everything (ingredients and equipement) has been a great challenge, consistent with ALMA mission and with Expo 2015 aim”. Thanks to the partnership with Vogue Italia, S.Pellegrino’s ally in its continuos effort to scouting and promoting talents, other important prizes have been awarded. Right before the S.Pellegrino Young Chef 2015 proclamation, two prizes for the Best Chef-Designer couplehave been assigned. Vogue Italia matched each young chef with an emerging designer, selected through an international scouting. These designers ideated a fashion creation inspired by their partner’s signature dish, thus giving birth to an unprecedented fusion between fine food and style. The combo Maria José Jordan-Paula Cademartori have been elected thanks to the votes of all the guests attending the event, a parterre de rois made of vips, influencers, chefs, and international journalists. Maria Jose and Paula also won the other couple award, assigned by the web community via Vogue.it, the online edition of the highly renowned and influential magazine, where all the Chefs and Designers creations have been published, enabling food and fashion lovers from around the world to vote their favourite. Last but not least, Vogue Italia elected the Best Designer, voted by a jury led by Franca Sozzani, Editor-in-Chief of Vogue Italia, Editorial Director of Condé Nast Italia, Global Ambassador against Hunger (WFP), and composed by some of the Italian most influencial names in the field of fashion and design, like Massimo Giorgetti, Ennio Capasa, Alberta Ferretti, Sara Maino, Marlene Taschen, Giò Marconi. Finedininglovers.com, the online magazine for food enthusiasts proudly endorsed by S.Pellegrino and Acqua Panna, provided and will continue to provide foodies exclusive contents about the project, with interviews, signature dishes and other information concerning the young chefs, the fashion designers and the Grand Final in Milan. Special thanks to: Cantine Ferrari, Electrolux, Giblor’s, Mauviel 1830, Nespresso. Credits: Alessandro Rosso Group, Filmmaster Events, YAM112003, Ketchum. Gin’s popularity is on the increase. And, from being the drink for parents and grandparents, it has found a younger audience. Somewhat like the craft beer explosion, when people spend their hard earned money now, they like to get a return in quality, flavour and taste experience – bang for your buck if you will, with quality taking precedence over price/quantity. 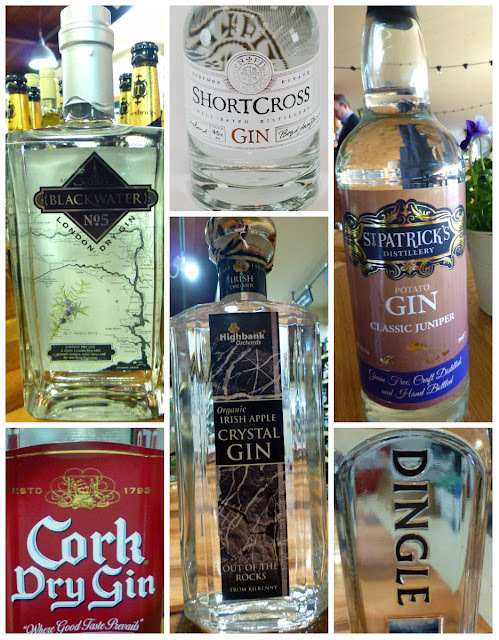 The emergence of smaller, craft Irish distilleries has increased the overall interest in gin. The great diversity in flavour between gins. If you taste 20 different gins, you will quite literally experience 20 different taste sensations. bartender can do a million things with it. Cocktails by the score for example. 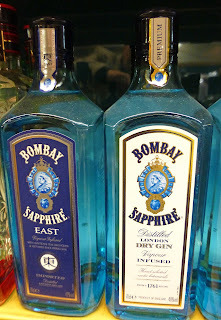 Gin is also a spirit that lets small-scale distillers get creative.They have the ability to use different botanicals. All this leads to much greater variation than you'd get with vodka. No shortage of creativity among the new Irish distillers. Most people will know about the botanicals that go into gin, including the essential juniper. The Saint Patrick’s gin is based on alcohol derived from potatoes while Highbank’s comes from the apples in their organic orchards and they use botanicals from their farm. Blackwater have matured gin in Juniper casks. There is a massive amount of potential and some really interesting products are now on the market as the rise in the number of new producers in the UK is being replicated here. And not just here and in the UK; Germany, USA and Australia have also reported a big rise over the past two or three years. What are the Irish gins? Michael: “Apart from CDC from Irish Distillers, the new wave of small, Irish craft gin producers are led by Dingle Distillery, Blackwater Distillery, Highbank Orchard, Shortcross Distillery and Cork's own St. Patrick's Distillery based in Douglas. Bradley's also carry gins from England, Scotland, Spain, Germany and Norway.” Two Trees, from the West Cork Distillery in Skibbereen, is not in Bradley's. Not yet! But is all the new gin up to standard? Sometimes, in a new distillery there is more interest in the whiskey. 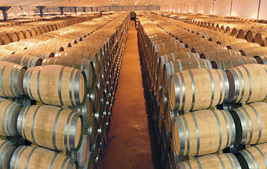 But while waiting the required three years and a day for the whiskey to mature, they use gin as a revenue earner. Do you they rush it out or do they give the gin enough attention so that it can be a long term proposition for them? Michael Creedon thinks the producers take their gin seriously: “While some gin producers also have the ultimate goal of producing whiskey, this does not have an adverse effect on the quality of the gin. 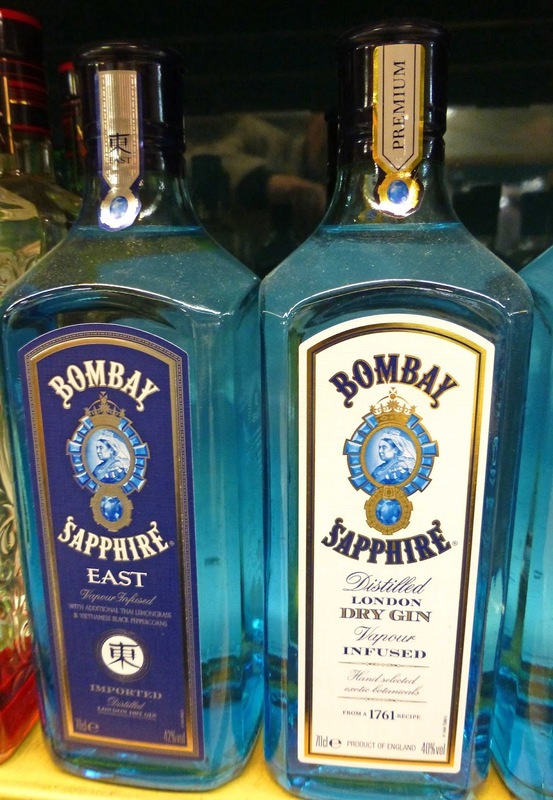 On the contrary, to ensure they maintain a good reputation they put everything into the quality of their gin." 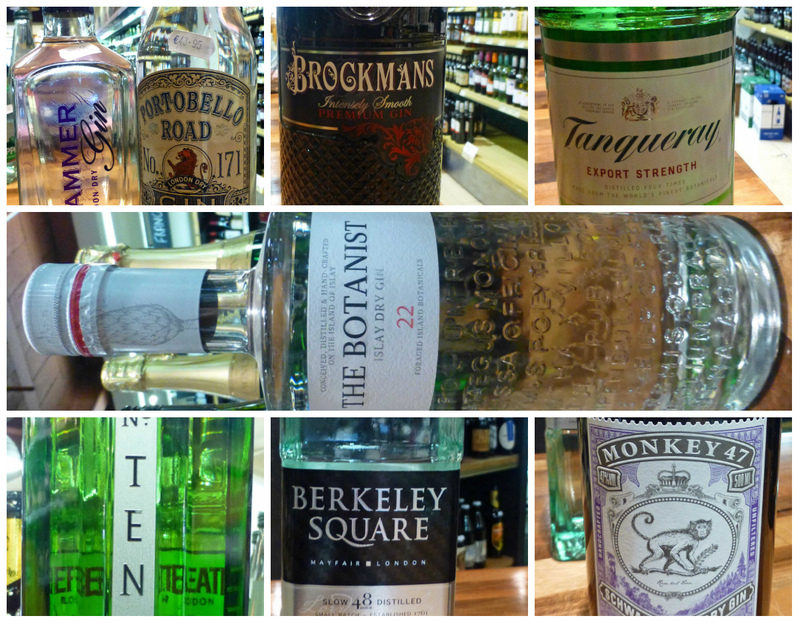 What are the more popular gins in Bradley’s? Irish - Dingle, Blackwater and St. Patricks. 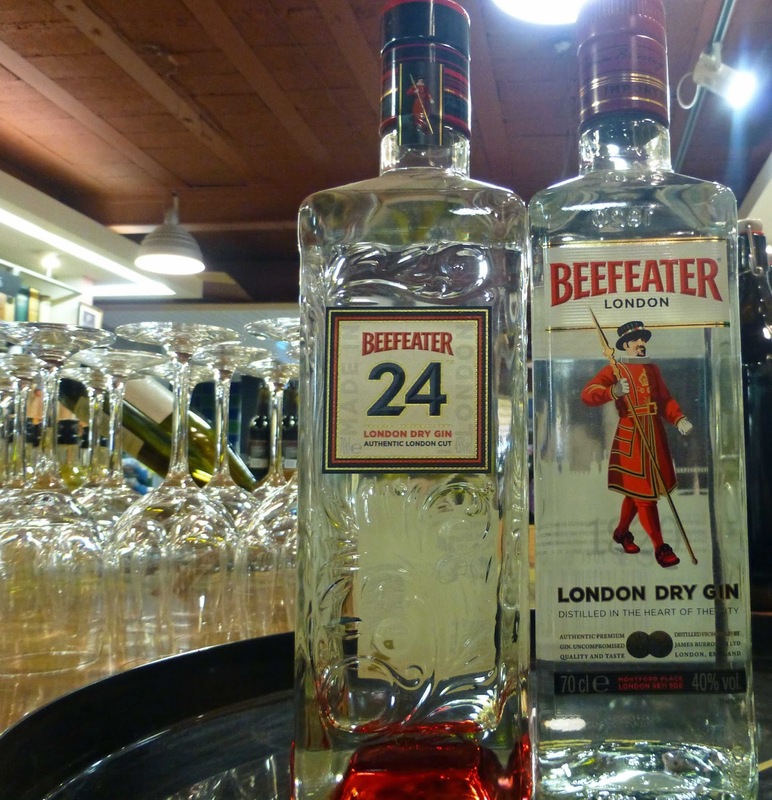 International Gins under €40 - Plymouth, Beefeater 24, Bombay Sapphire. International Gins over €40 – Hendricks, The Botanist, Bathtub Gin. With all the new and old gins on the market, packaging is more important than ever? As Desmond Payne said at Ballymaloe LitFest, gin and tonic is a marriage made in heaven. But which tonic goes with which gin? 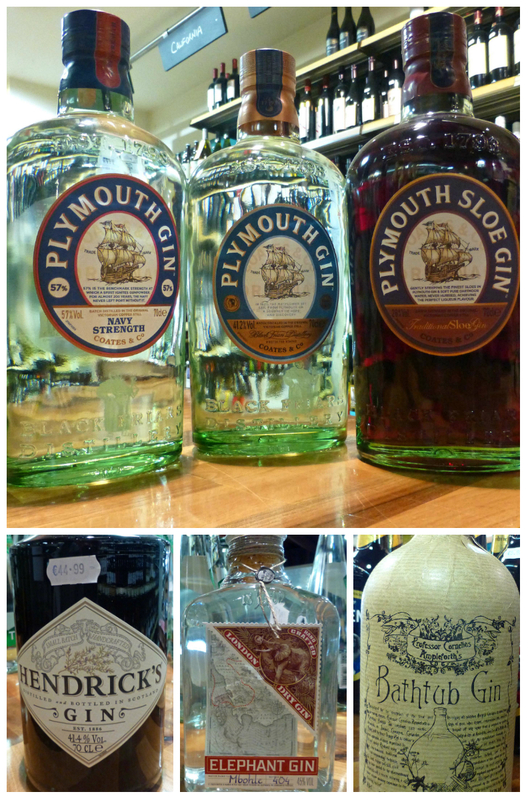 What are the most popular tonics sold in Bradley’s? Michael: “The quality of the tonic you use, it being the most popular mixer for gin, has become very important to consumers. Schweppes is still the traditional tonic used in Ireland but we have an ever increasing demand for tonics such as Fever Tree, 1724 and our most popular variety, Fentiman's. Fentiman's is most popular, we believe, because it offers 3 varieties in the range – standard, light or herbal tonic water. Experimentation is all part of the fun to see which one you like yourself. This dark cherry coloured gem from La Rioja has spent 17 months in American oak and a further three years in bottle.The fruit aromas promise much and, with this well balanced wine, you don't have to wait long for the fulfilment. A complex well-aged, well-made wine “from a selection of the best Tempranillo grapes in Rioja”. In the mouth, it feels close to velvet and the tannins are a little grippy. Excellent overall and Very Highly Recommended. There are more than 600 pages in the 1994 Larousse Encyclopedia of Wine and the Spanish region of Rias Baixas gets about a 1/3rd of a page, enough though for the editors to note that “the Albarino, a variety of such excellence that almost the whole wine industry in the province..has been built on it”. It was indeed a solid foundation and, 21 years on, the results are now being tasted and acclaimed near and far. Colour in this example is a light gold with green tints. The white fruit aromas are intense and gorgeous. And then there is the unmistakable tingle of the Albarino, fresh and fruity and yet so dry, all followed by a long reverberating finish. Very Highly Recommended. Greeting here is an aroma of dark fruits, plums mainly. Fruit flavours are quite concentrated and there is some spice, maybe a touch of liquorice and a silky input of tannin. 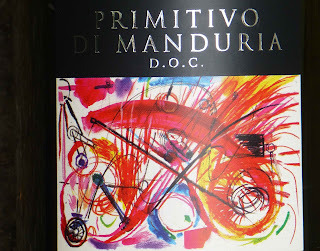 Overall it is quite rich with a long finish. Well made, well balanced and Highly Recommended. 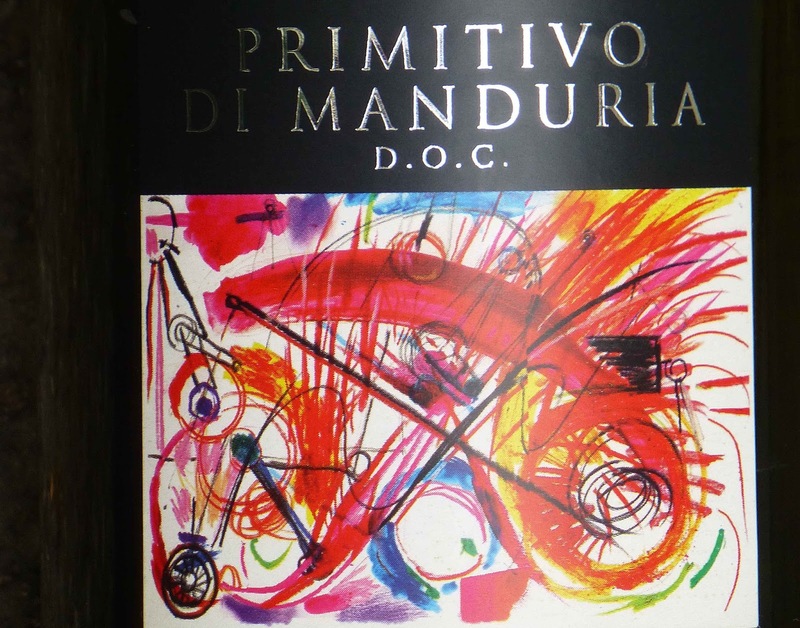 Primitivo, genetically similar to California's Zinfandel, has emerged as “the most consumer-friendly grape” of Puglia, the heel of Italy. Could be a handy one to have around when grilling on the BBQ this summer, even if you may have to eat indoors! De Róiste, based in Baile Bhuirne, are perhaps best known for their black and white puddings, made in the traditional way with fresh pork and fresh blood. 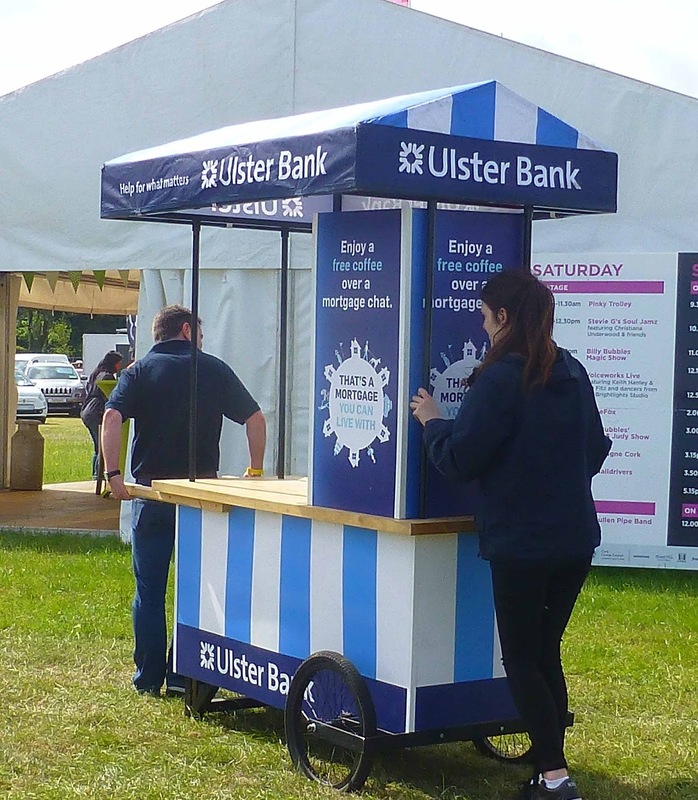 The products are widely available and you’ll also come across them at markets and food fairs. And indeed, that was how I came across their Breakfast Loaf, one of their newer products, which they were exhibiting at the Cork Summer Show last weekend. 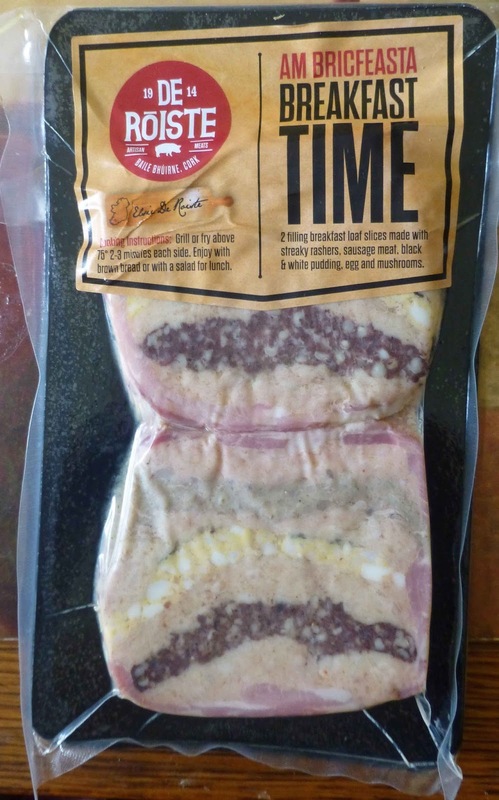 This, our Taste of the Week, is more or less the full Irish, containing streaky rashers, sausage meat, black and white pudding, egg and mushrooms. It is sold in a pack that contains two slices and I'd recommended that you should always have a pack or two in the fridge. 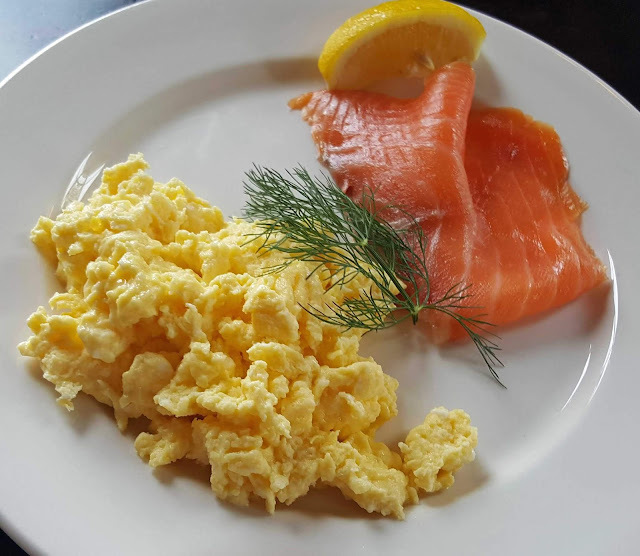 Cooking is simple and very quick, fry or grill, just 2 to 3 minutes for each side, and there you have a satisfying breakfast or lunch, especially if you add a slice or two of brown bread or a salad. No brown bread? Use a bun! Wine in a Tube! For a cosy tête-à tête. Sweet Sauternes. Wine in a Tube! WIT Or Witless? You've got to hand it to the French, never short of ideas when it comes to marketing. Just been browsing the Maison du Sauternes and came across the WIT (wine in tube). Discover our new concept for a cosy “tête-à tête”. Be astonished. Spend a delicious time - share original Sauternes. Two different wines for moments of delight. This pack contains “S for her” and “S for him”. Special offer. 22€. This price includes postal charges. Might take a punt on that but then maybe the the revenue might come looking for their share of the proceeds. Maybe not! By the way, I wonder what do they call it in France. WIT or VIT? Looks like WIT on the website. 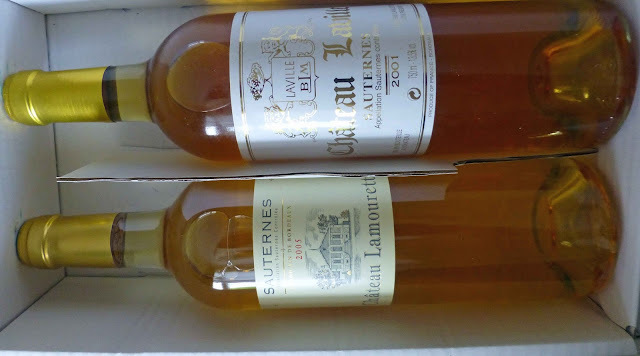 Just one surprise from Sauternes. The other, for me, on a visit there last year, was that it was quite an ordinary village and indeed the Maison Du Sauternes was one of the bigger buildings there. Another surprise came in a local restaurant, Auberge des Vignes, where we had an excellent three course Menu du Jour, that also included wine and coffee, all for just sixteen euro per head. Read more about the meal and the village here. Richard the Lionheart praised the wines of Sauternes in the 12th century and this sweet Bordeaux has been a regular on royal tables since. You’ll pay 1,000 euro or more for the top end but prices start at about 12 euro and that means a Sauternes also appears on more humble tables, including mine! The World Atlas of Wine, while acknowledging that not all Sauternes is top class all the time, says it is “lamentably underappreciated but incomparable, it is a speciality that finds few real rivals”. "In great vintages the results can be sublime, a very sweet, rich-textured, flower-scented, glittering golden liquid.” Sauternes is widely available in Ireland, not sure though about the tube. I’m currently enjoying the Lamourette. It comes from a vineyard not too far away at all from the headliner Chateau d’Yquem and is very impressive. It has the usual nose of candied fruit. The palate is creamy, that candied fruit is still there but it is balanced and pleasant with a long spicy finish. Overall, this is lighter than expected and you could see why the Maison du Sauternes can recommend drinking Sauternes all through a meal, even recommending it with Leg of Venison (which has been marinated in Sauternes, of course!). It is a sweet wine, no doubt in the world about that. But there is a terrific balance here, a wash of acidity that negates any hint of heaviness or any tendency towards a cloying feel. 2005 saw plenty of noble rot - a good year. I haven’t tried the Château Laville yet but I'm hugely encouraged by what Jancis Robinson had to say about the 2001 vintage: The rain that spoilt the reds encouraged botrytis to such an extent that this is a truly magnificent, long-term vintage, helped by a greater degree of selection and cellar expertise than ever before. Perhaps the greatest Sauternes vintage in modern times. 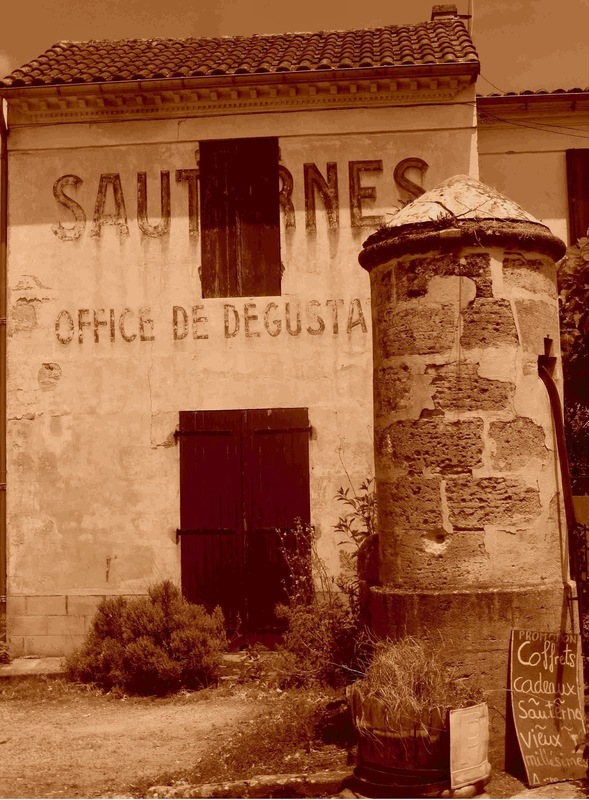 For a good insight into Sauternes (including noble rot) see here. The 2001 Laville is no longer featured on the Maison du Sauternes website but you may check the 2010 here. The Lamourette now available is the 2009. Info here. I found this on the website. Doesn't say it is is for one or two. What do you think? In a large glass bowl, place fruit depending on the season ( apricots, peaches, pears, melon, etc ... ), diced and sliced ​​oranges. Pour the Sauternes (about two glasses per person), add one or two glasses of brandy. Macerate about an hour in the refrigerator. Serve with ice cubes and carbonated water. Sauternes, with the bouquet and strength, lifts the heart: the wine of the happy day. 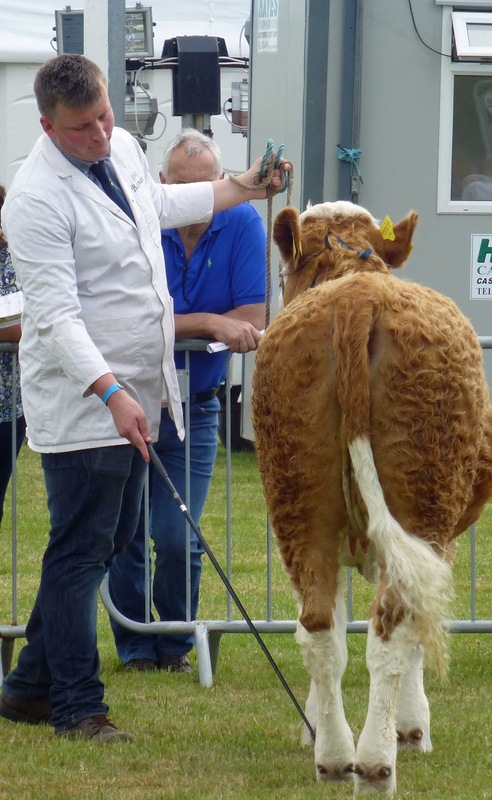 Cork Summer Show No 209! Numbers Rise Again, Up To 60,000! Cork Summer Show No 209! Numbers Rise Again, up to 60,000! 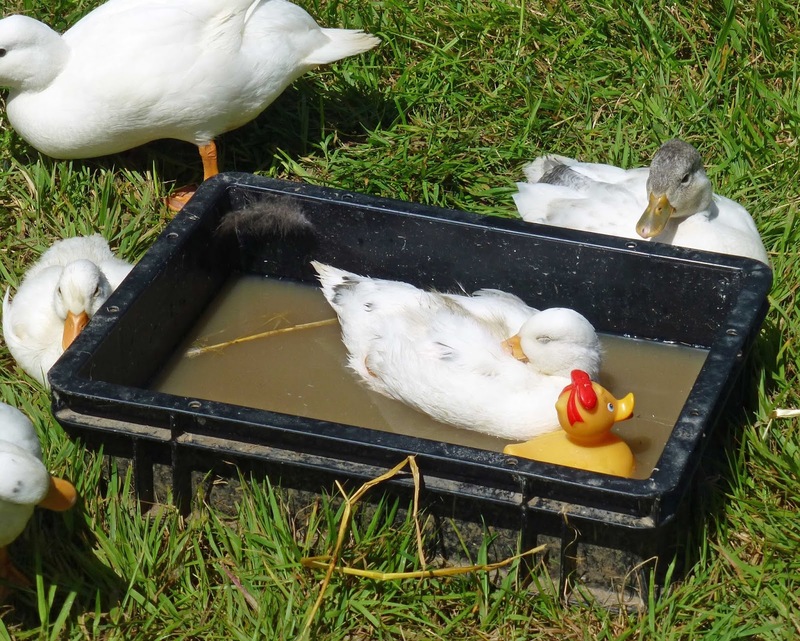 If you’re going to bring tens of thousands of visitors to your show in the fields, then you'd better arrange food for them. 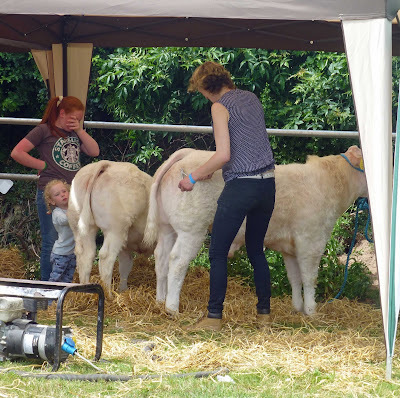 The 209th annual Cork Summer Show certainly attracted the visitors in large numbers and, yes indeed, there was no shortage of food, ready to eat on the spot. Lots of tables and benches as well. All kinds of food were being served up, anything from Asian to Italian to good old Irish and, in between I spotted an Argentinian grill! When I began to get a little hungry I was quite close to O’Crualaoi’s and they had quite a choice and, as is the case in their cafes, the items were well priced. We got two burgers (one steak, one chicken, and a drink) for a tenner all in. Quite a substantial lunch. While there were many selling food to eat, I was disappointed that there were so few producers at the show. I was really expecting to see more. Wasn't expecting though to see Mag Kirwan from Kilkenny but it was a pleasure to again meet the woman (there is also a man!) behind the innovative Goatsbridge Trout Farm. By the way, you can get her gorgeous fresh trout at the fish counter in Dunne’s Stores. Just look out for the Irish farmed trout sign as it is not packaged! I had been in early enough and that allowed me the chance to have a chat with some of the stallholders before things got hectic. 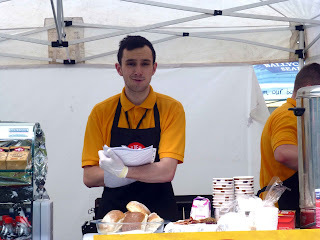 Cathal was fine-tuning the De Roiste displays and had all their black and white puddings and sausages lined up. Excellent products and you could hear the pride sizzling as he spoke. 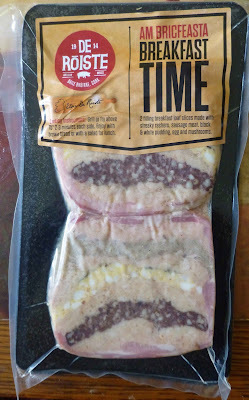 He also introduced me to their Breakfast Time pack, which includes rashers, sausage meat, black and white pudding, egg and mushroom. Easy for the lazy! Also spent a bit of time in the Craft Drinks Tent, especially with Barry Fitzgerald, Brand Manager of the new St Patrick’s Distillery who are based in the old mills at Douglas. They are different to other distillers in that their spirits are potato based. There are easier ways of producing alcohol but the Douglas team believe that it is well worthwhile as their spirits are naturally smooth with the added bonus of a grain free process given a naturally gluten free result. Certainly that smoothness, some little sweetness too, is evident in their Potato Gin, a classic juniper gin. They won't divulge the full details but most of the regular botanicals are in use here and the potato makes it that bit different from all the others! Worth a try. Widely available around Cork, not so widely (yet) in other counties. See the stockists here. The drinks tent was fairly well populated with producers. There was beer from the Cotton Ball, Franciscan Well and Blacks of Kinsale, cider by Stonewell and Hyde’s whiskey (which I have yet to try!). But generally, there was a lack of producers overall and I’d personally like to see many more of them for the 210th anniversary next year. Don't know exactly what the problem is. But hard to ignore sixty thousand punters in over the two days. 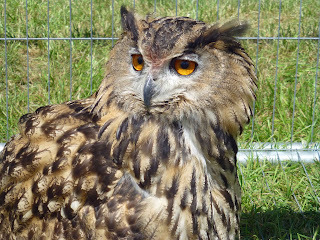 I hadn't been to the Summer show for a few years and I thoroughly enjoyed this one. Great space there for the stands and the parking and everything seemed to be very well run indeed. It is a terrific place to bring the kids. They had their own “zone”, which includes a small animal pet farm, Bouncy castles and a fairground with some super high flying machines. For something more gentle, there was the option of taking a trip around the Show on board the magical mystery train (Noddy Train). No shortage of musical entertainment either with a marching band liable to turn up anywhere. The main focus though was the big stage in the Entertainment Zone which saw everything from Crystal Swing to Gospel, Ska to Soul, Funk,Trad (even magic!) and some of the best voices of Ireland. 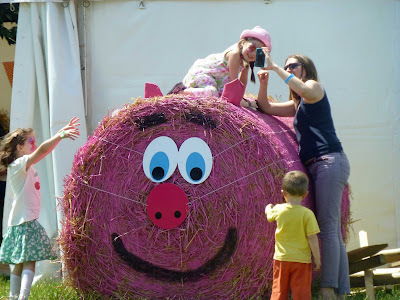 There is also face painters, balloon makers, stilt walkers, and clowns in this area to entertain the kids. And convenient as it is packed with tables and benches and situated right next to the Food Zone. Too hot for this guy! In addition there was the equine events, the farrier’s tent, the dog show, trade stands, cows, sheep and poultry and more including a vintage rally zone, farm machinery, and home and garden show. 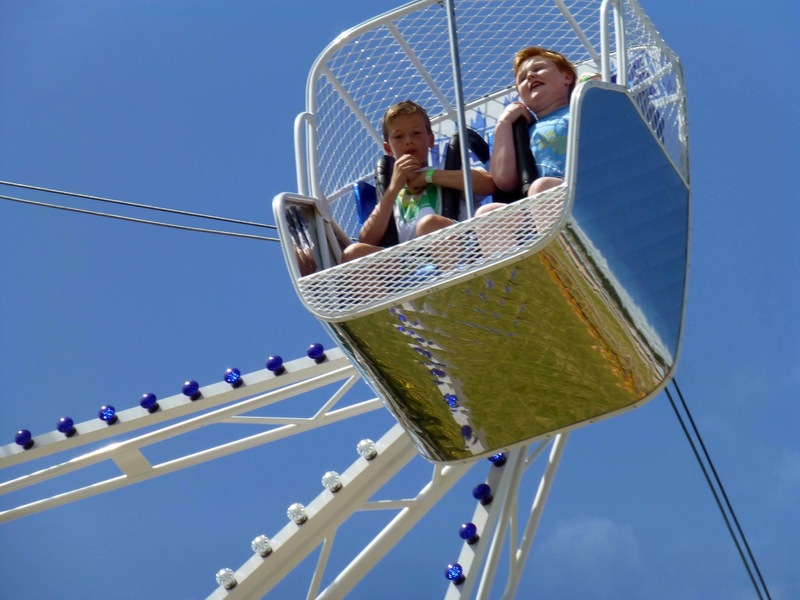 It is a fantastic day out both for adults and children, for town and country. A record sixty thousand punters is a massive endorsement. Here’s to the 210th edition next year! He was in the petting enclosure. The Brooklodge Hotel. Excellent Base for Wicklow. Three Reds and a Rosé. Dadá is me daza! Kinsale - just a little taster! Boats and Bites. Float a Boat. Feast on Fish. Eight New Names in World's Top 50 Restaurants.